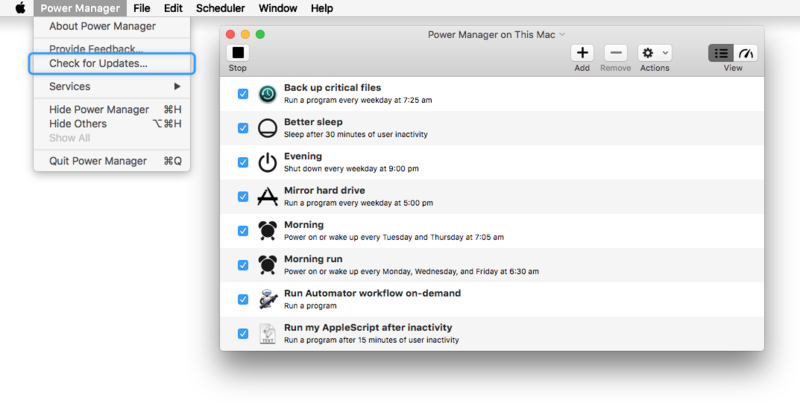 Today we released Power Manager and Power Manager Pro 4.5.4. This update fixes a bug affecting the macOS 10.12 beta releases and includes updates to third party libraries. Change: Updated Sparkle framework; fixes bug affecting OS X 10.7.